We've partnered with MangaHigh to provide individualised maths practice with educational games, tests and explanations. Find out how to use it by watching this video. Sometimes, My List goes blank, even though there were items there before. 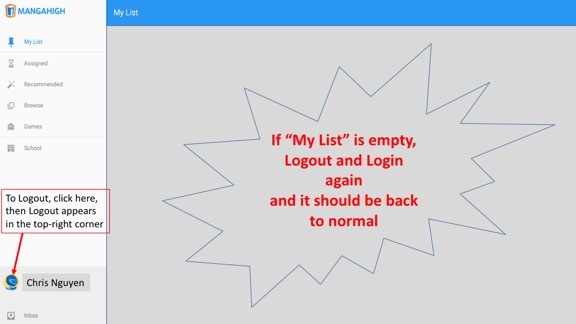 This is a bug :-( Don't stress, just logout and login again and all should be back to normal.